Take advantage of the warm weather and get your exercise out in the open, with equipment provided by the city—and Mother Nature. 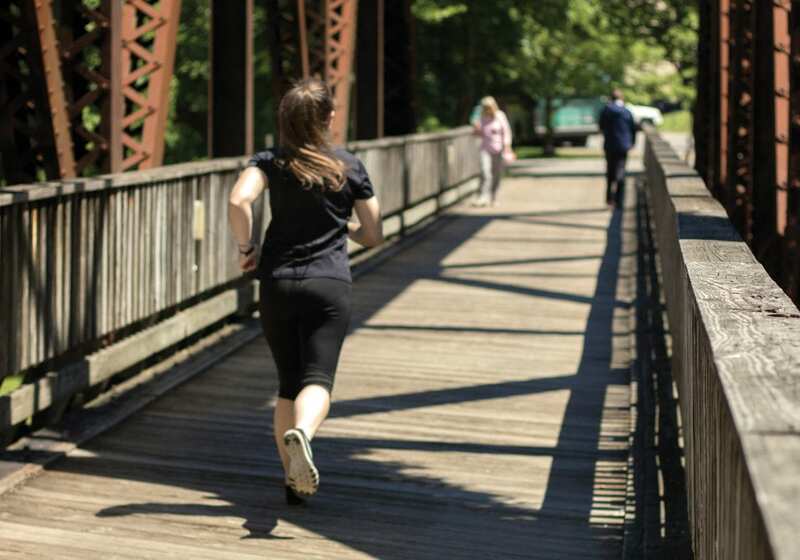 With 48 miles of rail-trail—easily accessible for activities ranging from walking and running to biking and rollerblading— as well as numerous parks and plenty of hills, Morgantown offers an assortment of opportunities for physical activity. And as summer’s arrival brings sunny days and warmer temperatures, it’s a great time to get outside for exercise. 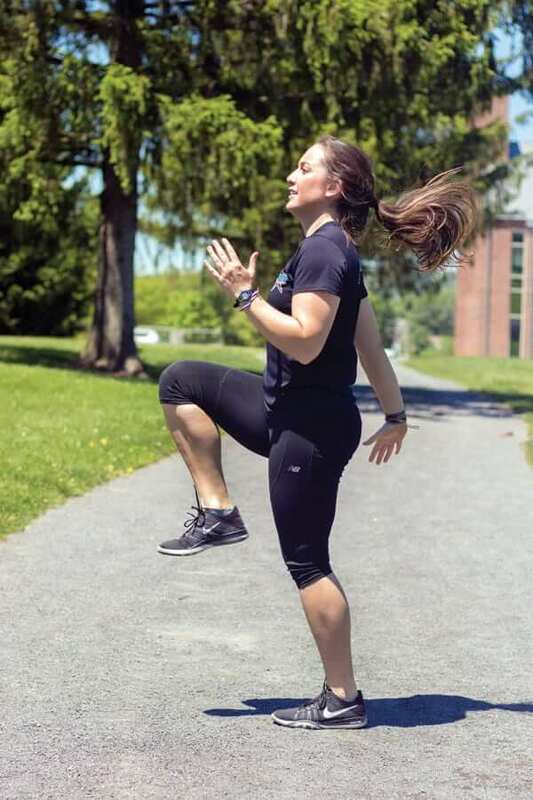 Megan Whritenour, a personal trainer at Pro Performance, says it is recommended that adults get at least 150 minutes per week of moderate exercise or 75 minutes per week of vigorous exercise. We’ve compiled a list of some of our favorite places in the community—sorted by fitness level—to reach your fitness goals. So get outside and soak up some vitamin D while working up a sweat—and don’t forget your sunscreen. Explore nearly five miles of wooded trails at White Park by foot or bike. For some cardio and a dose of serenity, take a trip to the nearly five miles of trails along the water at the Cheat Lake Trail. Alternate walking for one minute and running for one minute for anywhere between 10 and 20 minutes total, depending on skill level. Exercise your mind while improving your physical strength and flexibility with some yoga among the trees of the WVU Core Arboretum’s Guthrie Loop, which is directly accessible from the parking area near the Coliseum. Try beginning in child’s pose, move to downward facing dog, step halfway toward your hands before slowly standing, then fold back down halfway and step back to high plank. Finish the sequence by flowing through to upward facing dog pose and finally lifting the hips high back to downward facing dog. This series of poses is known as Sun Salutation A. Head over to the gravel loop surrounding the WVU Student Rec Center fields in Evansdale. Whritenour suggests breaking up the monotony of simply running laps by incorporating some aerobic exercises. Run the straightaways, and then, at each of the four corners, add in your choice of the following: 30 jumping jacks, 30 high knees, or 30 squat jumps. Continue for as many laps as you can. The West Virginia Botanic Garden’s Reservoir Loop Trail, which is nearly three-quarters of a mile long, is another great location to complete this workout. Take a three-mile round-trip hike out to Ravens Rock at Coopers Rock State Forest. Don’t forget to pause at the overlook to enjoy the scenic views of the Cheat River Canyon. Rent a bike from Wamsley’s Cycles at the Seneca Center and ride south along the rail-trail toward Prickett’s Fort State Park in Fairmont. Take a break at the park to enjoy a picnic lunch before making the trek back to Morgantown. For a mixture of aerobic training and bodyweight exercises, make your way to the rail-trail access point at Hazel Ruby McQuain Riverfront Park. 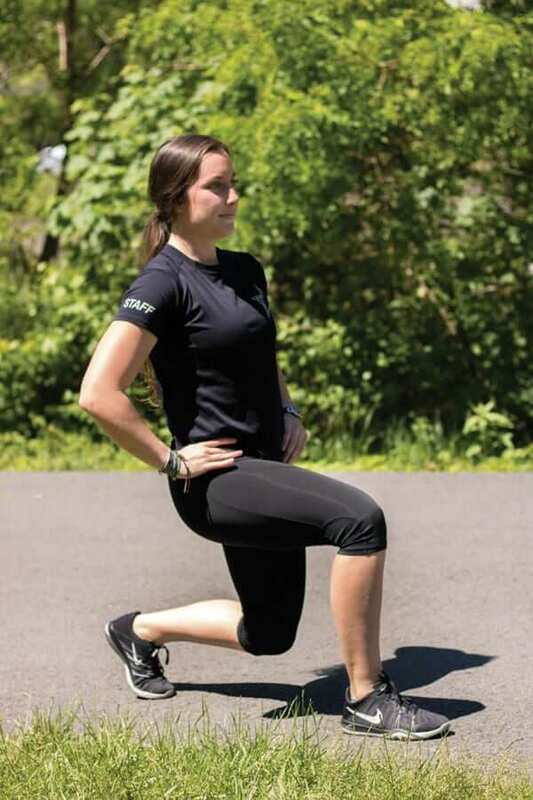 Start by running or jogging for a few minutes until you find a trail side bench where you will complete the following sequence of exercises: three sets of 15 push-ups and three sets of 15 bodyweight squats. Run back to your starting point, then repeat, this time doing three sets of 15 lunge jumps and three sets of 15 tricep dips on the bench. Repeat each sequence two to three times. 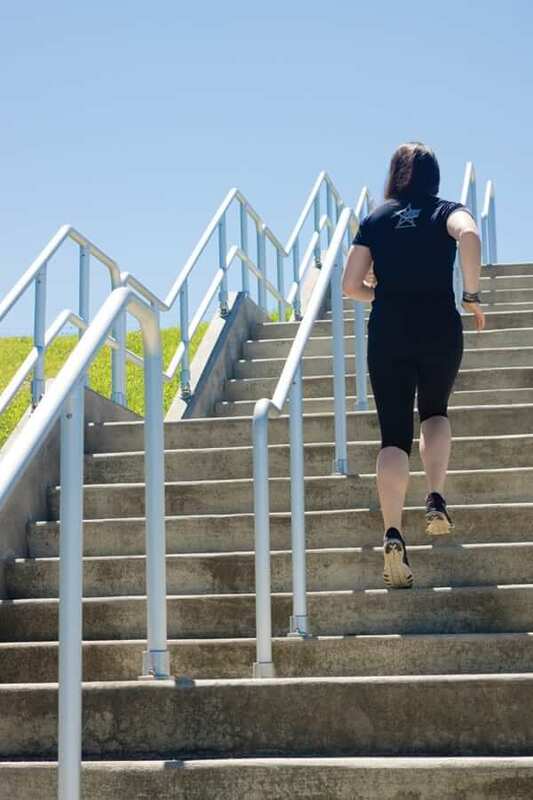 When renovations aren’t underway near the hospital and stadium and the WVU College of Law steps are open, they make for a great spot to get in a total body workout. Try running up the steps and walking back down for recovery, repeating multiple times. WVU Core Arboretum For those who want to be immersed in natural beauty while they sweat, look no further than the Arb. Starting from the base of the hill along the Caperton River Trail, walk, jog, or run up the winding path until you reach the Guthrie Loop, or take the even steeper service road to the top for an added challenge. Oakland Street Located directly behind the Towers residence halls in Evansdale, Oakland Street is a long, gradual, winding hill that will put your aerobic capacity to the test. As you crest the top of the hill, you’ll pass Blaney House, home to WVU President E. Gordon Gee, and ultimately be rewarded with a spectacular view of downtown Morgantown. Law School Hill If you’re looking for a serious challenge, try running anywhere from four to six repeats, walking down to the base of the hill for recovery after each climb. Eighth Street Across from the Seneca Center along Beechurst Avenue, this steep incline sometimes gives even cars a run for their money. Whether you’re walking, running, or biking, your lungs and your legs are sure to feel the burn once you’ve reached the top. Falling Run Road Both steep and long, this hill is not for the faint of heart. It begins near WVU’s downtown campus, and you will get a brief sighting of university life before you begin your uphill journey.